Apple has officially apologised to all iPad and iPhone users over the massive security flaw that affected the Group FaceTime calls. Not just that, the Cupertino-based tech giant also thanked the 14-year old boy of the Thompson family who was the first to report the Group FaceTime security bug to Apple. Having said that Apple was reluctant to immediately respond to the little boy’s report. For those unaware, the Group FaceTime security bug allowed users to listen to others conversations even before the call was received. “We thank the Thompson family for reporting the bug. 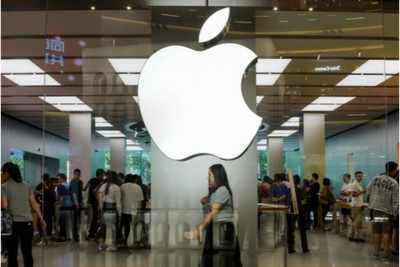 We sincerely apologize to our customers who were affected and all who were concerned about this security issue,” said Apple in an official statement according to CNBC. Thankfully, users can soon get back to making Group FaceTime calls as a software patch is on its way. “We have fixed the Group FaceTime security bug on Apple’s servers and we will issue a software update to re-enable the feature for users next week,” added Apple. Apple had barred Group FaceTime calls for all users after the bug was discovered. With the help of the big you could hear the other person automatically on Group FaceTime by simply making a call to them. The other party is naturally not aware of the caller hearing them. “We want to assure our customers that as soon as our engineering team became aware of the details necessary to reproduce the bug, they quickly disabled Group FaceTime and began work on the fix,” said Apple. On its part, Apple had been quick to respond to the bug and seems to have disabled the flaw remotely. The company’s system status page shows that the Group FaceTime feature is temporarily unavailable. Hence, users are not able to add other iPhone users to make a Group FaceTime call. Even if you try it right now, you won’t be able to add a person to a one-to-one FaceTime call.